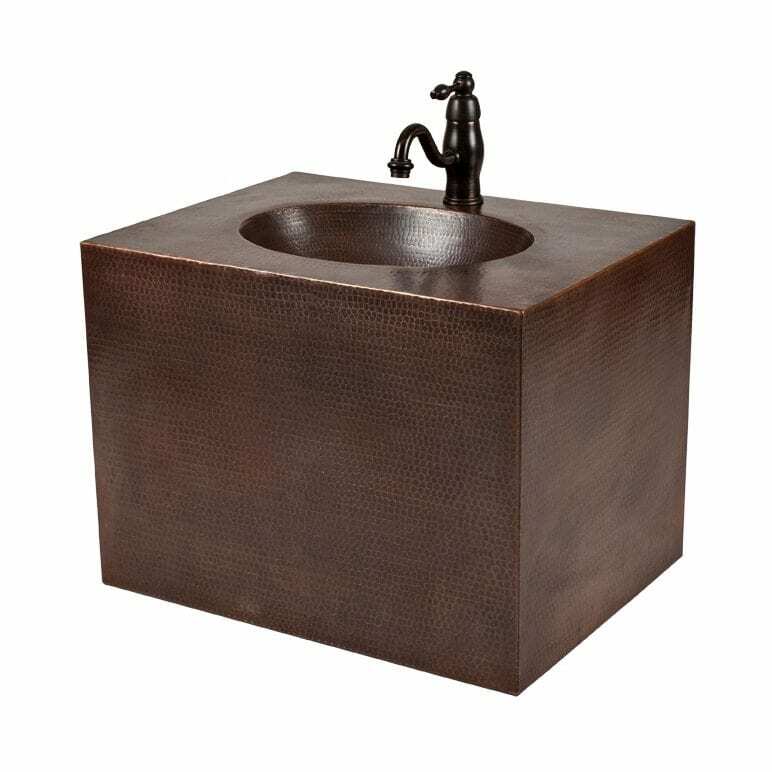 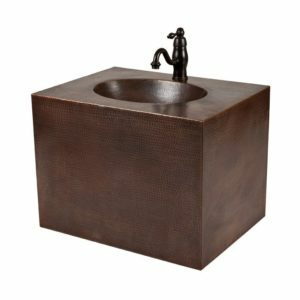 Premier Copper Products introduces our new hand hammered copper wall mount vanities with the sink built into the vanity. This simple style vanity is perfect for smaller bathrooms and powder rooms. 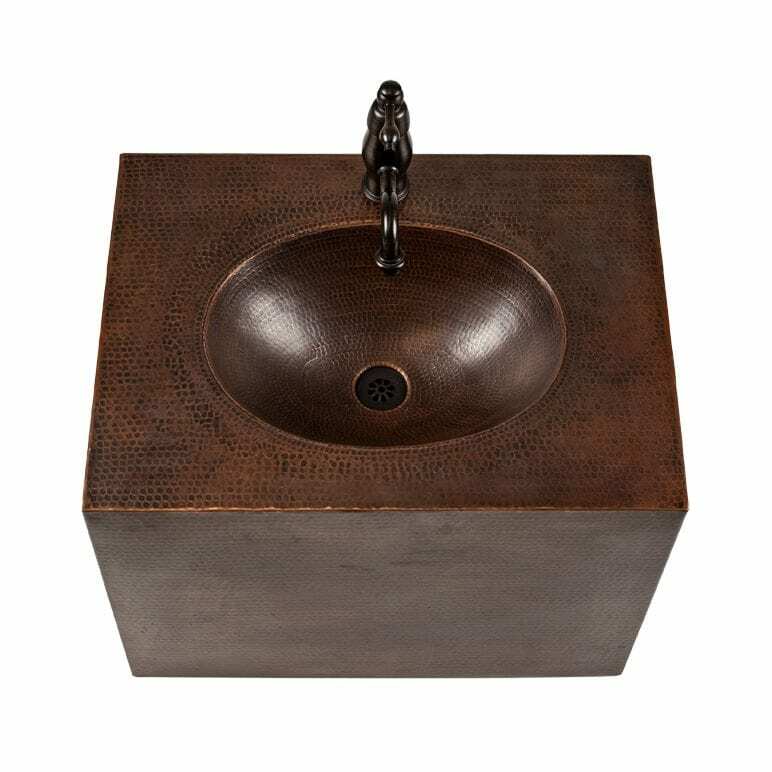 Copper’s antibacterial and antimicrobial properties allow this vanity to be easily cared for – never having to use harsh chemicals that are harmful to people and the environment. 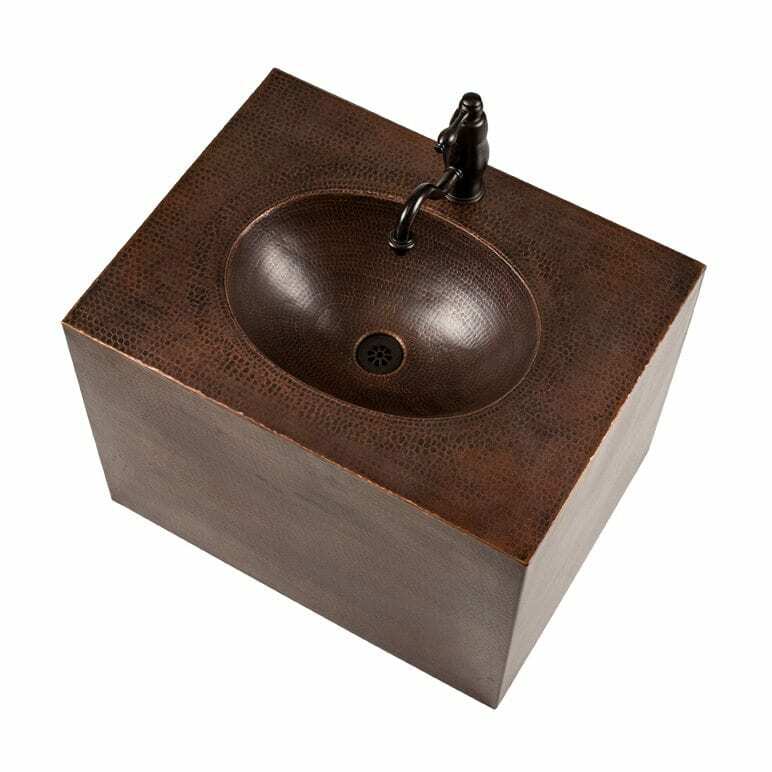 Endlessly recyclable, this vanity will never take up space in a landfill like other stone and porcelain products. 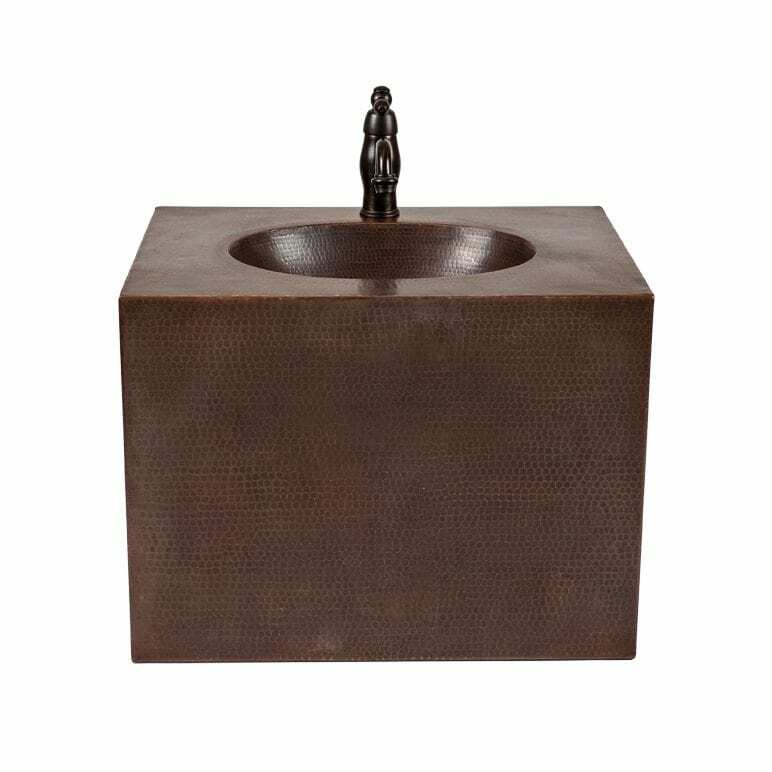 It will not only be an eye catching art piece in your bathroom, but it will be an eco-friendly product that will endure for generations. 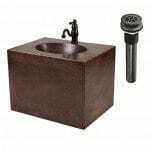 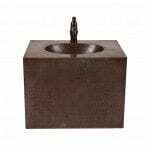 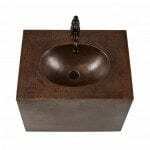 • All items ship in one box – vanity, faucet and drain.